What Chemical Reaction Takes Place During Digestion? 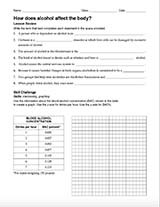 Integrate chemistry and biology with the questions and skill challenge in this printable. 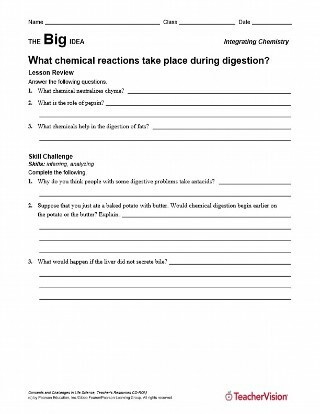 Students will answer questions about the chemical reactions that take place during digestion in the human body. An answer key is provided. How Does Alcohol Affect the Body?